UPDATE (2/22) So you’re saying there’s a chance! Several months ago, Chance The Rapper confirmed the existence of a collab project with Childish Gambino, despite it being nowhere near complete. Well it looks like Chance & Childish are finally getting around to the project as Chance shared a picture of the two on instagram earlier with the caption reading “Hawaii then LA, back to work. #roscoeswetsuit.” Although it’s seemingly a good sign, I wouldn’t hold your breathe on the release. See the post below. UPDATE (5/24/16): While sitting down with Zane Lowe of Beats 1 Radio today, Chance confirmed that not only does his collab project with Childish Gambino exist, but that it WILL see the light of day. Listen to the entire interview below. ORIGINAL POST: Chance The Rapper probably just re-ignited a couple thousand fans’ hopes tonight after speaking on a project we’ve been waiting on for quite some time. 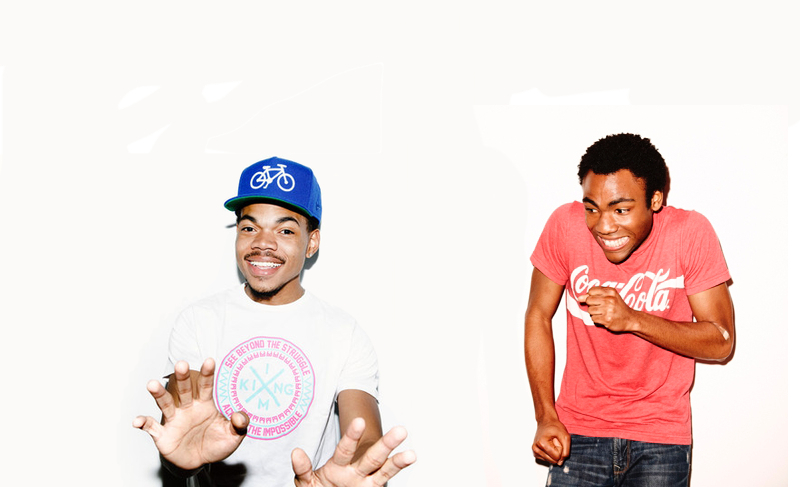 During a Reddit AMA that he participated in earlier today to promote his new mixtape Coloring Book, Chance was questioned whether his joint project with Childish Gambino still existed, to which he quickly confirmed “Yes.” Gambino has been MIA for the better half of the past three years while fans have anxiously awaited his next solo effort, & now with this back on the board the hype will only grow. Check out the entire AMA here or see Chance’s comment on the project below.